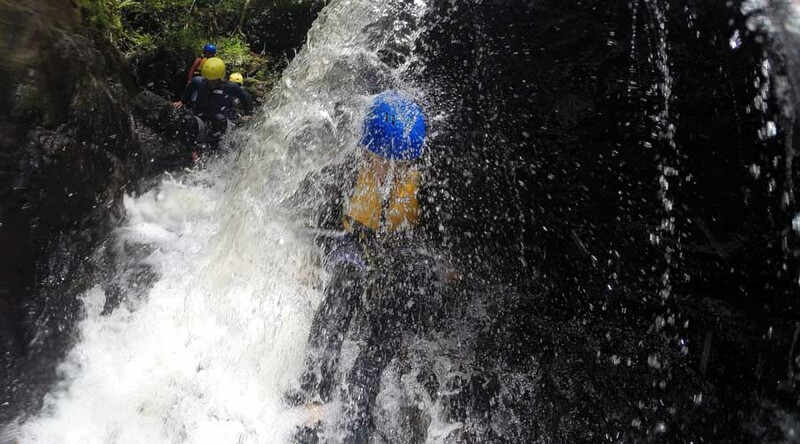 Or Ghyll Scrambling as it's known in the Lake District! 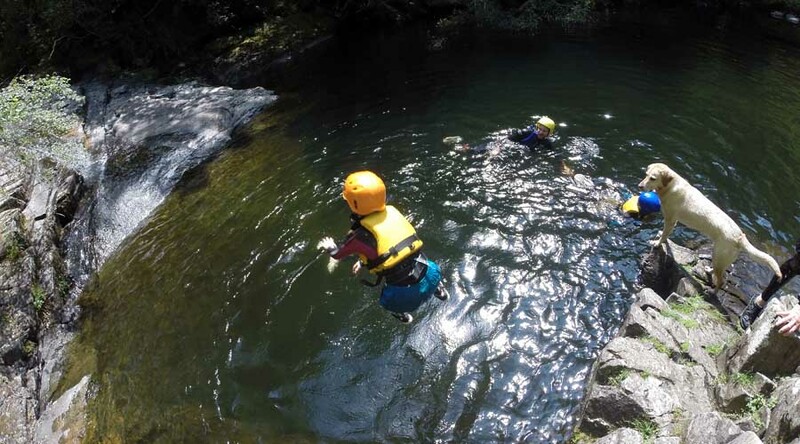 This is canyoning for kids; loads of fun and adventure at a more child friendly pace. 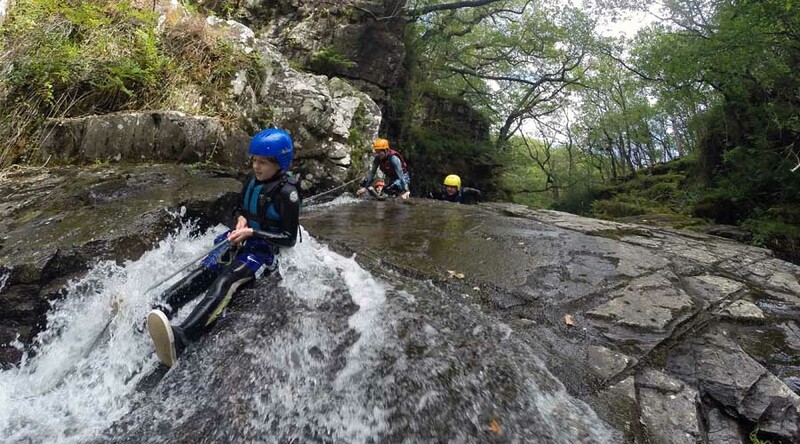 This trip is specifically for families with young children, the ideal age is 4-9 years (older than this and you definitely want to be on the canyoning trip). The features are all avoidable and the trip's pretty relaxed. Depending on what the water level is like, we may go up or down the river. Exploring the less committing parts of the normal canyon, we play on lots of slides and cascades, swim the pools and there's an area where you can jump in. 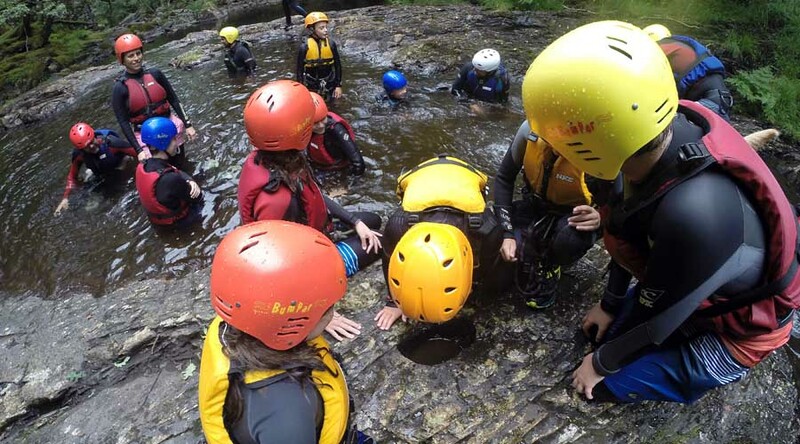 It's great fun splashing around, we make sure everyone's warm and safe with a thick wetsuit, BA and helmet. 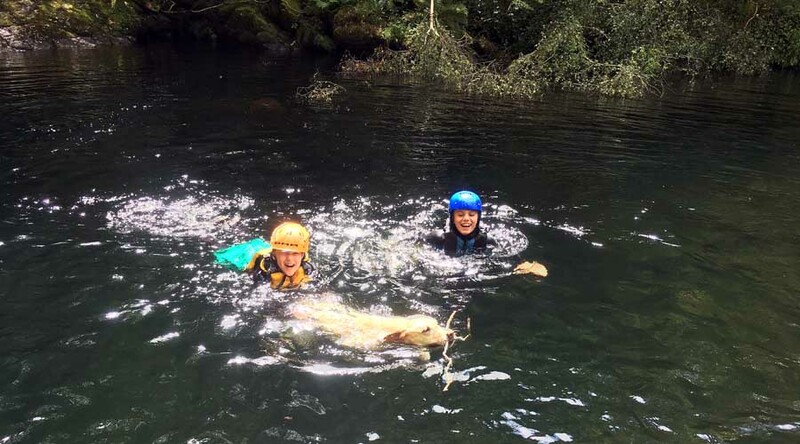 Quite often Sparky our adventure dog comes along to join in with the fun.